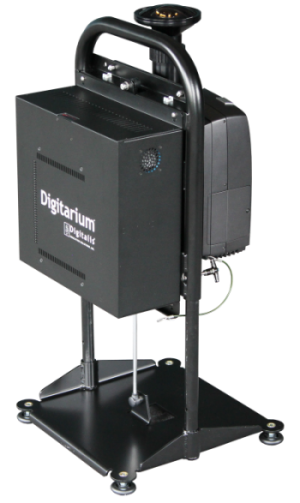 The Digitarium® Epsilon Portable 2 model is a digital planetarium system designed to be portable. 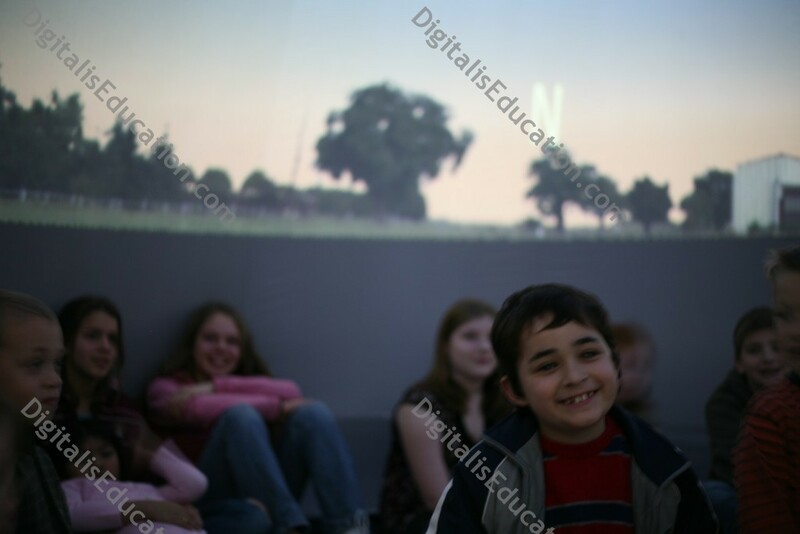 This system can be used in either a full dome or a truncated projection mode. 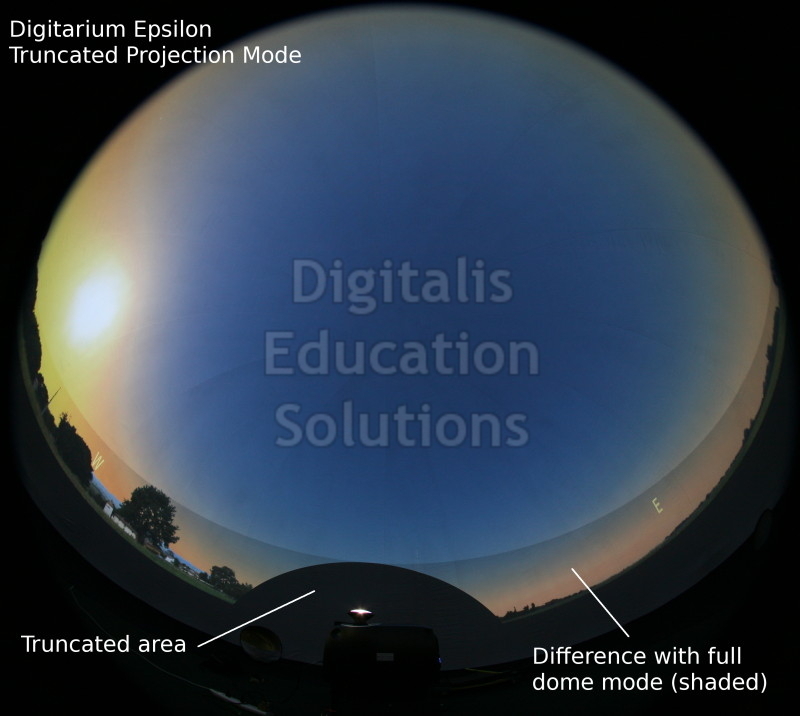 Full dome/full sky projection is available at a projection angle of 155 degrees. This is not ideal for the typical inflatable dome as the projection will be somewhat higher on the dome than a more immersive 175 degree projection. It is, however, a good solution if you want to use chair type seating, or have a higher than typical dome springline. 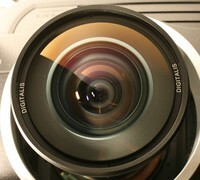 In truncated projection mode, a 1344 pixel diameter truncated circle (truncated to a 1920x1200 pixel frame) is projected at a 180x155 degree projection angle. 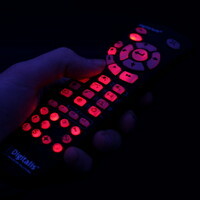 This mode is typically best suited for high resolution wide angle immersive movie uses. The planetarium features will still work, but with part of the sky missing we don't recommend this mode for serious astronomy education. 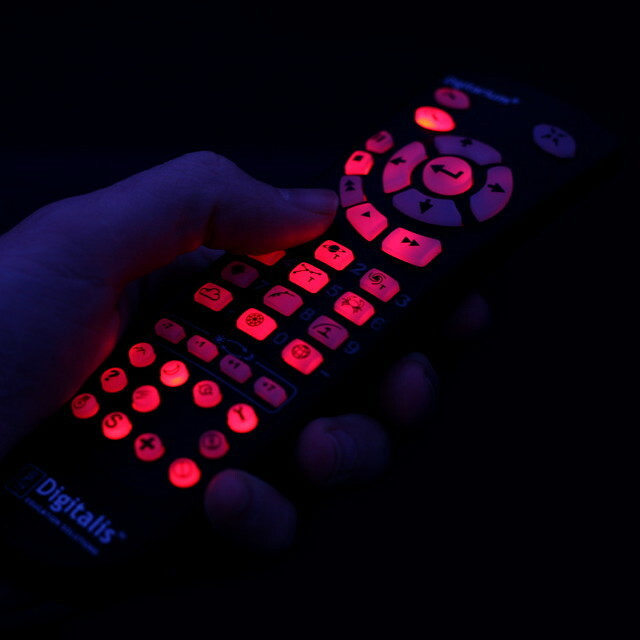 This model is designed for those who want high resolution in a portable Digitarium system but can not afford the Digitarium Kappa Portable 2 model. 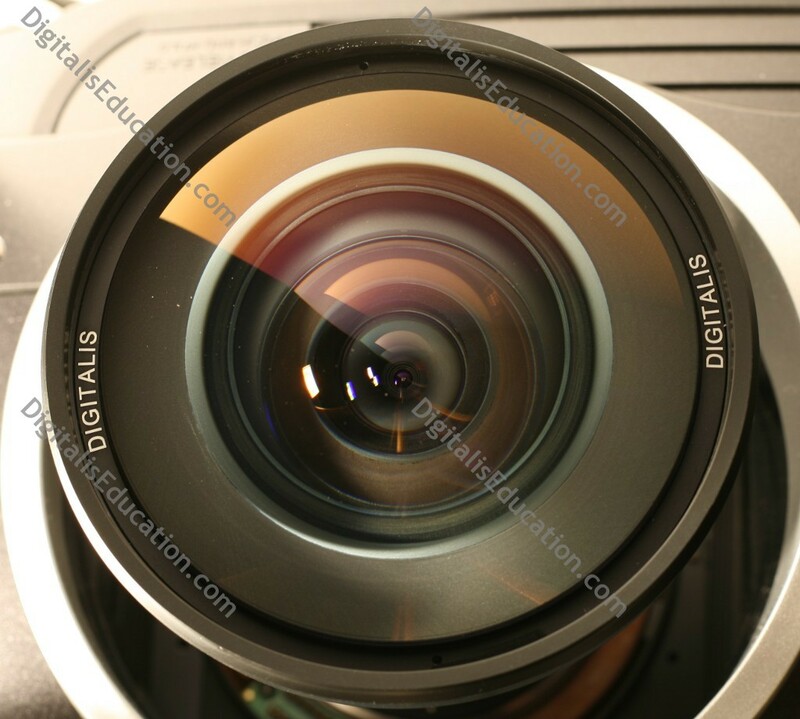 The Epsilon's high resolution is invaluable if you show fulldome video shows, immersive environments, or scientific visualizations. Starfields will also look better, especially with the high contrast and our high quality proprietary lens. The Epsilon Portable 2 Professional model includes our high-resolution data set of the solar system for spectacular planetary exploration with incredible detail. Up to 2000 hours on high. Low resolution, no topography (flat surfaces). Exclusive Solar System Collection high-resolution data set.